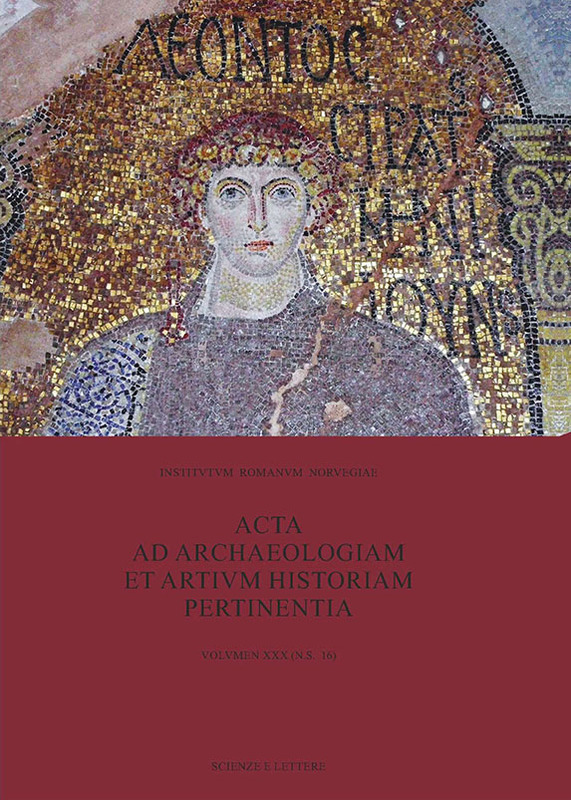 Acta ad archaeologiam et artium historiam pertinentia (ACTA) is published by the Norwegian Institute in Rome in association with Scienze e Lettere, Rome. ACTA publishes articles relevant to Mediterranean archaeology and art history within the broader interdisciplinary mission statement of the Institute. ACTA is an international, open access journal that simultaneosly publishes a paper and an electronic version. ACTA vol.30 (2018) online now! The vol. 30 (2018) of DNiR journal, Acta ad archaeologiam et artium historiam pertinentia, is available online now!